Aging coins. Two US one cent coins of different age. 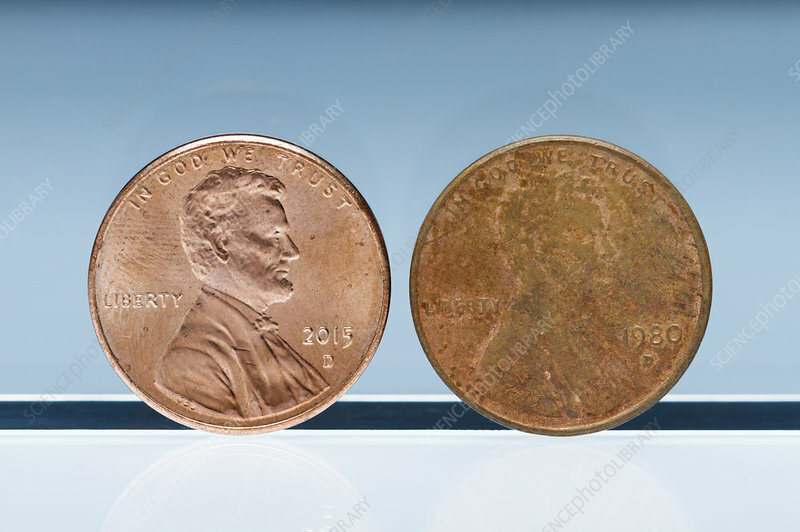 The left was minted in 2015 (copper-plated zinc) and the right was minted in 1980 (brass, 95% copper and 5% zinc). When coins age their luster is reduced due to formation of tarnish and accumulation of the dirt. Tarnish consists of various oxides, sulphides, sulphates, etc. Photo shot in 2016.